What has been happening for you lately? There’s been so much weighty and negative news that I feel like it’s good for everyone just to take a step back and focus on the simple pleasures and small joys in life. 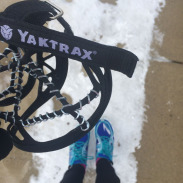 These are few of the things occurring currently for me – the good, beautiful, and hilarious. Sunny days. 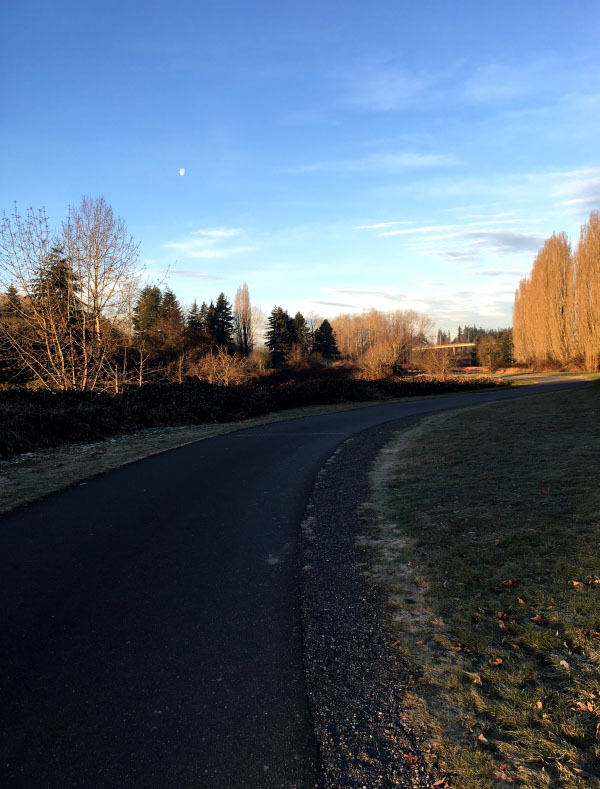 Cold yet clear days are my favorite in winter, especially for running. With all the evergreens around, winter doesn’t feel as bare as it used to when I lived in the Midwest. I just hope rainy season is on its way out! Ryan and I feel like we’ve been watching more TV, but I’m not complaining. He bought us the entire series of Good Eats for Christmas and I can’t get enough of it. I’m not much of a fan of cooking shows, but this one is good because of the science aspect, the simplicity of so many of the recipes, and all the little hacks for improving your cooking and baking. We also binged through the entire fourth season of Sherlock. After a disappointing season 3 and waiting far too long for the new season, season 4 did not disappoint. The finale literally made my heart pound. If you haven’t watched it, go watch it now. And if you haven’t watched any Sherlock…it’s on both Netflix and PBS Masterpiece online, so go watch it now. Away from birds. Yes, birds. The Canadian geese have returned for the season and snarl at me as I weave between them and their messy droppings all over the trail. I’m not afraid of them, but I don’t want one to bite me or, even worse, I don’t want to step in nasty goose poop. But it’s not just the geese! 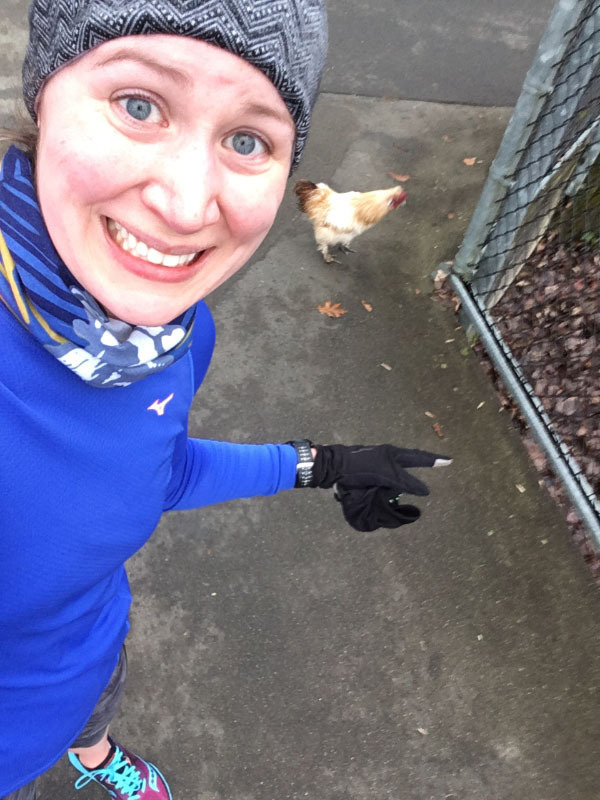 On my run yesterday (Wednesday), I turned a corner and nearly ran over a rooster. The rooster was pecking at something on the ground, so I snapped a couple pictures of him and then resumed my run…only for him to start chasing me. He followed me for a good tenth of a mile at a 7:30/mile pace! I actually thought that bird was going to catch me. I know I rooster couldn’t hurt me – at most he might peck – , but it was hilarious and just a little terrifying. I slacked again on reading for a bit near the end of the year and took far too long to finish The Martian. Given the fact that I used to read multiple books per week in grad school, my current reading rate is embarrassingly low now. I have a few books stacking up to read right now: The Endurance Diet, The First Women of Running, and Silence. I started The Endurance Diet by Matt Fitzgerald this weekend and so far, one chapter in, I’m really enjoying the balanced approach to eating as an athlete and the emphasis on eating for performance. Sourdough bread! I’m obsessed. My whole wheat sourdough loaf yesterday came out deliciously tangy and sour and my starter is going strong. I think most of all I am surprised at how easy it is to bake with and maintain the starter. Sourdough pizza dough also makes the best pizza ever. 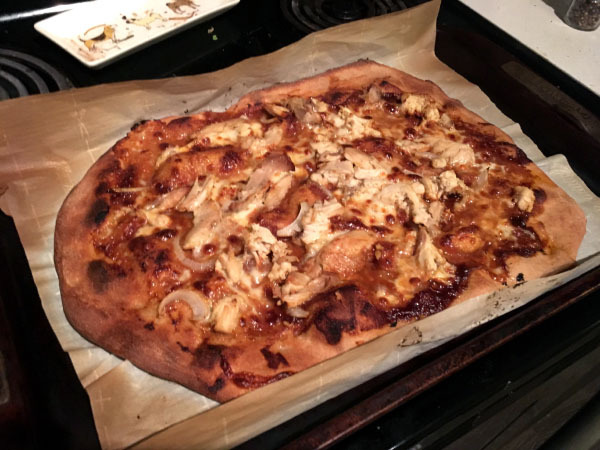 I made homemade BBQ sauce the other week (following this recipe from Gimme Some Oven) and I used that, roasted chicken, fresh mozzeralla, and onions for the most delicious pizza I’ve ever made. Mexican food. 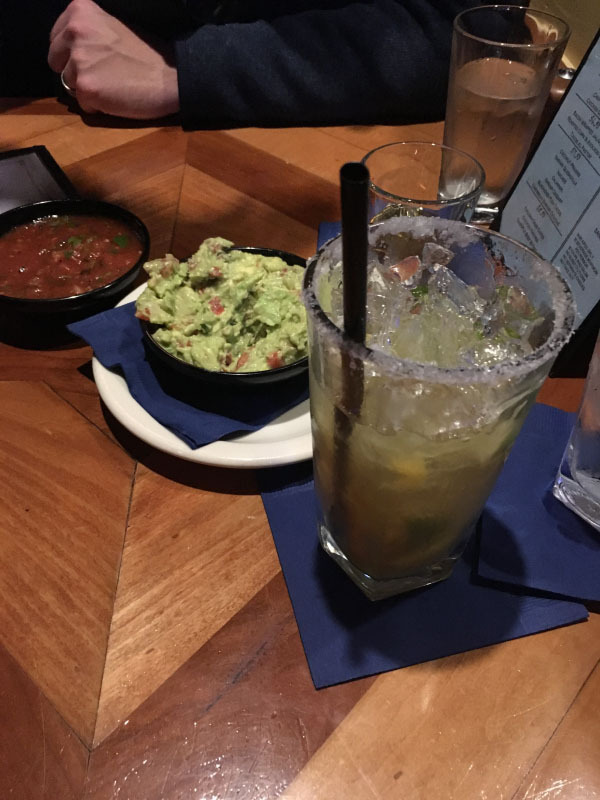 We went out for Mexican food on Friday evening, complete with chips and guac and a proper margarita. This only further sparked my craving rather than satiating it and we already had tacos at home this week. I think winter makes me crave warm, spicy foods because I also crave curry as well. Ryan and I booked a trip to Bend, OR in February. Bend is pretty much the PNW capital of all things outdoors and craft beer. (Amongst other companies, Picky Bars, StrideBox, Ruffwear, Hydroflask, and Cairn are all located in Bend). 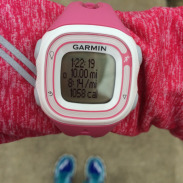 Our plans are pretty much to run, explore, and drink beer, although Mt. Bachelor is tempting for some snowboarding. Has anyone traveled to Bend? Are you planning any trips? Where do you want to travel right now? We recently had alot of rainy, foggy days, so it was wonderful when the sun came out yesterday. I would like to read The Endurance Diet- glad you are enjoying it! I’ve been craving spicy food too this winter! so unlike me but I am enjoying it. and that pizza looks so good…and I would freak if I encountered a rooster! we have a lot of the geese around here but luckily not on my running path. As I said yesterday–I understand the terror of being chased by a rooster. I was 8 when my attacks happened. Literally scared for life. I liked aspects of Good Eats, but I couldn’t get on bored with the overly silly delivery. Also, after reading some interviews with Alton Brown about why he is even on these shows in the first place, plus how he handles himself around fans, REALLY “turnt” me on him and I can’t stand him now. Bend sounds amazing! Can’t wait to see your recaps when you visit. 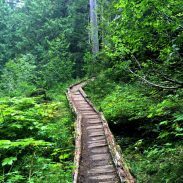 I need to explore more of the PNW..it looks so beautiful and perfect for adventures. I grew up watching Good Eats and got to see Alton Brown when he visited Penn State. One of my favorite Food Network personalities! Ha! I always run away from the geese too. In the spring when they have babies I’m especially careful because they get so protective. I love Oregon but I haven’t been down there in years!! That sounds like a fun trip. SO FUNNY about the rooster! Ha ha! Andrew and I looked up flights to Arizona last night. We are so sick of this weather and just want to go somewhere hot. We can’t leave right now though so it was more of just fantasizing about it. Ahh, I don’t want to give you a fear of chickens, but roosters can definitely hurt you (source: we had chickens when I was a kid, I’ve had many fights with roosters). They have spur claws that grow on the insides of their ankles and will fly up and pummel your legs with them – those things can do some damage! On the plus side this one looks like he’s just a little guy who probably hasn’t grown in any of his rooster accoutrements yet.